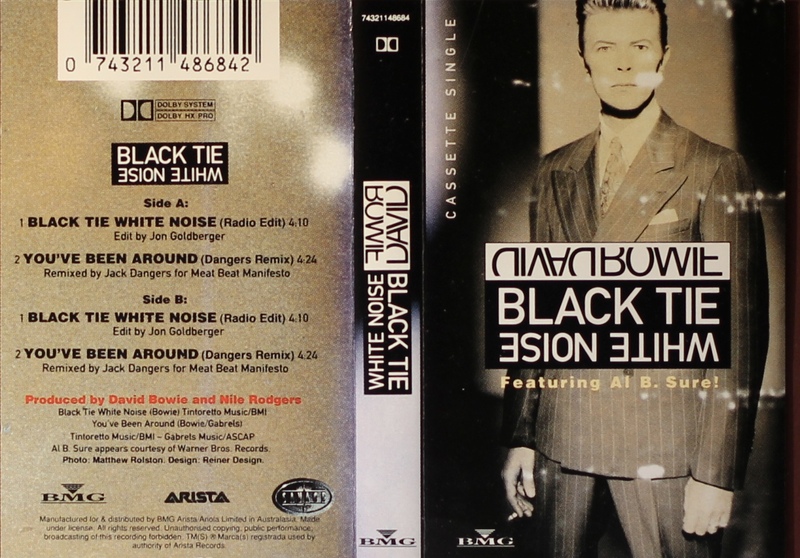 Black Tie White Noise: Australasia; BMG/ Arista, 74321 148684; 1993. 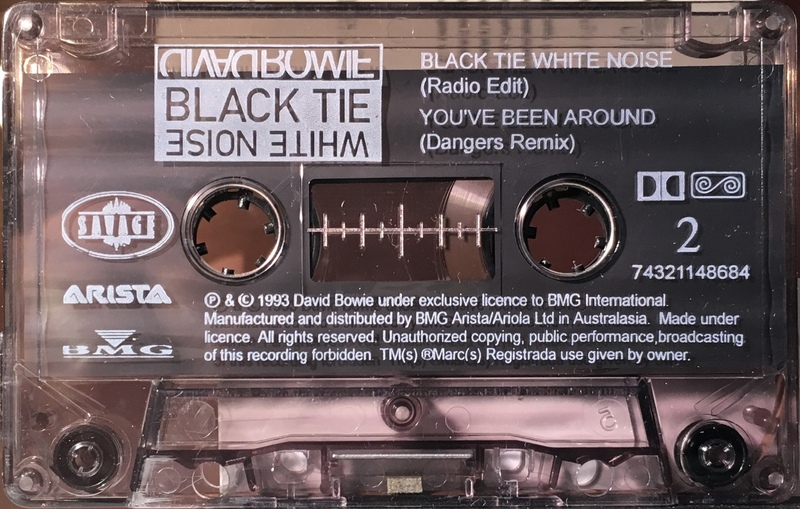 Cover is made from folded, treated paper; black and white spine, picture rear panel with track list on it and Dolby HX Pro logo. The inside cover is blank. 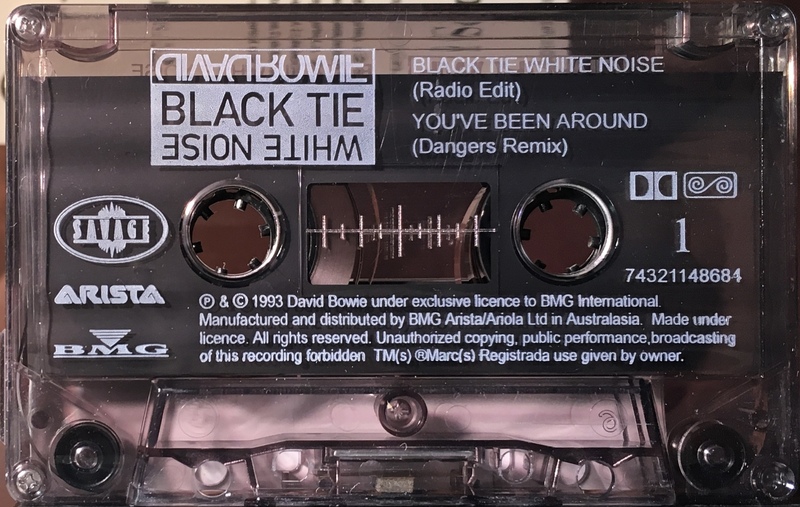 White ink printed directly onto transparent smoky cassette, printed directly to shell. ‘Manufactured and distributed by BMG Arista/ Ariola Ltd in Australasia’.